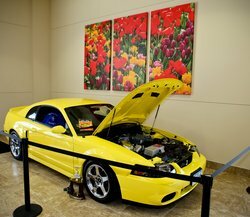 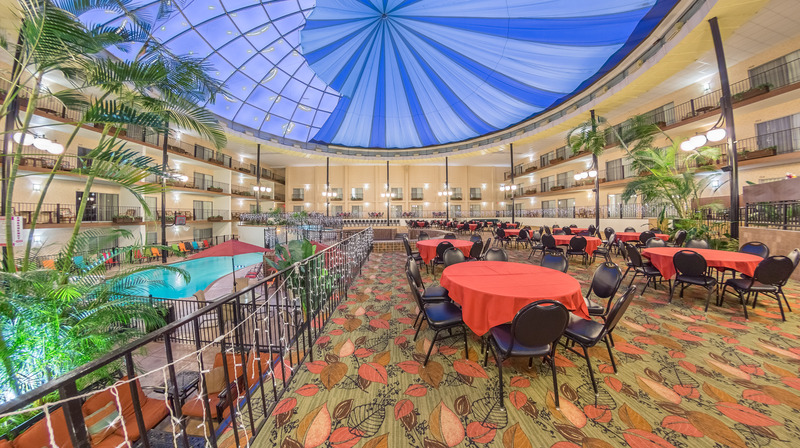 Use our photo gallery below to take a grand tour of our airport hotel and conference center. Holiday Inn Des Moines/Conf Center boasts 34,000 square feet of dynamic meeting space, as well as an indoor pool complete with a tropical courtyard and a wealth of additional recreational equipment. 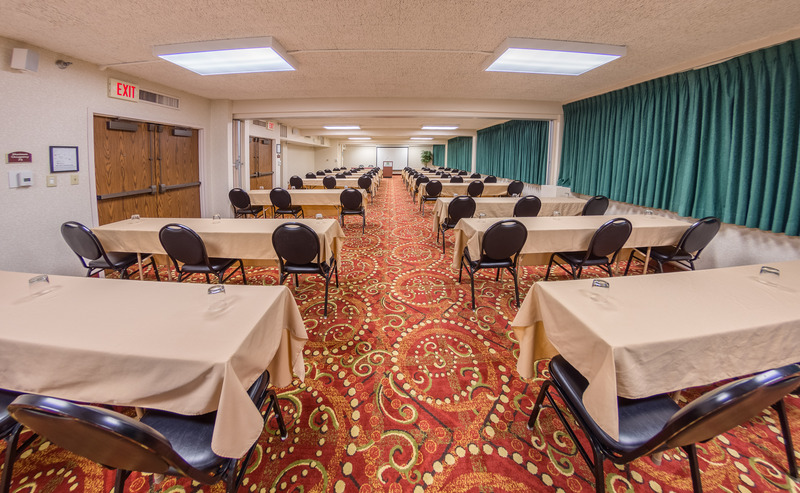 Our spacious accommodations are affordably priced, and enhanced by competitive package deals! 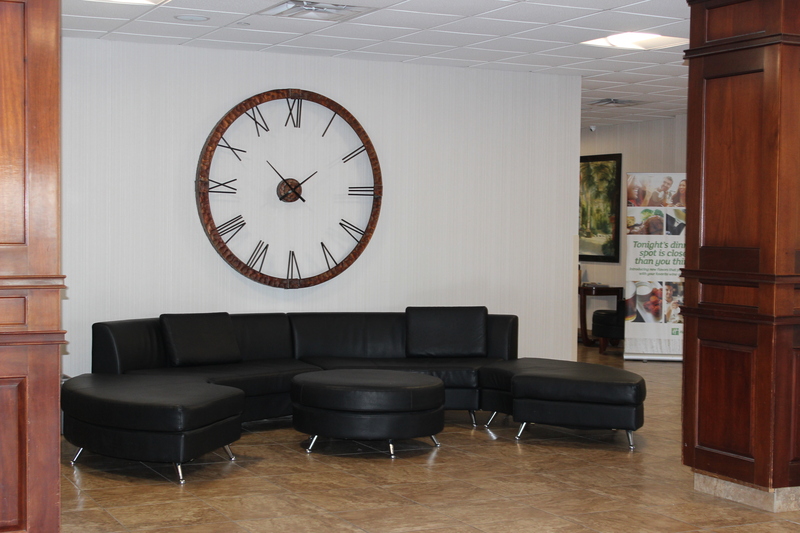 More than just a hotel, our property is characterized by its long history as a family-run establishment, a detail that is evident in all of the little personal touches you find around the property. 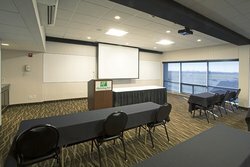 Constantly updating and upgrading to provide our guests with nothing but the best, you can always rest easy knowing that you are in great hands at Holiday Inn Des Moines. 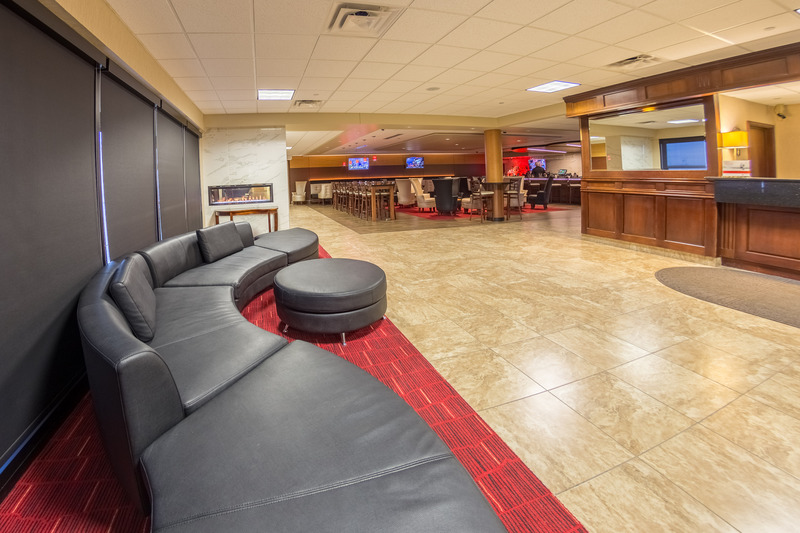 Beyond our property, find yourself surrounded by the area’s top attractions, dining, universities, and of course, the Des Moines International Airport. 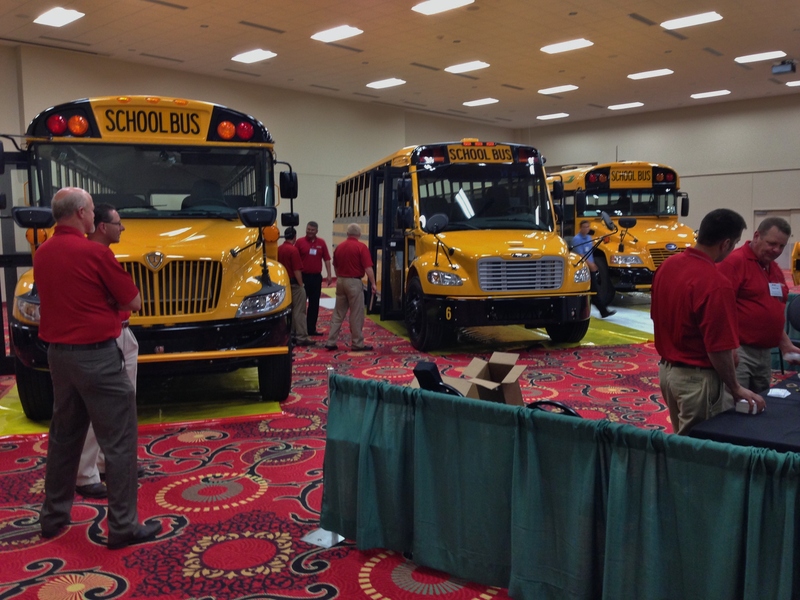 Plus, see it all with ease with our reliable hotel shuttle, delivering you efficiently (and free-of-charge!) 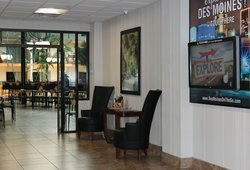 to the airport and any destinations within 1.5 miles that you desire. While our hotel near Des Moines is the ideal stop for any business traveler, our family-run property understands the importance of catering to the whole gang! 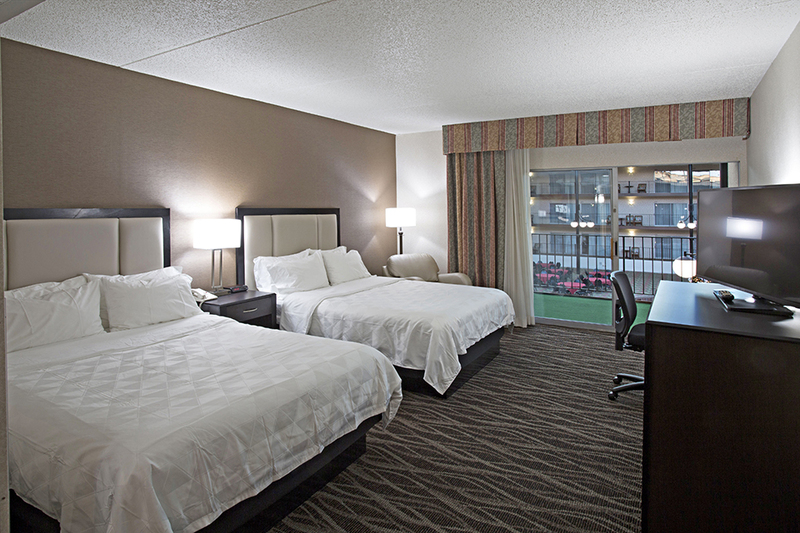 Kids aged 18 and under stay with us completely free-of-charge when they sleep in their parents’ room. 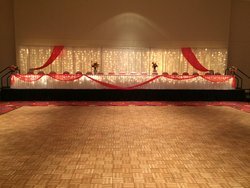 We offer a wealth of different room types to choose from. 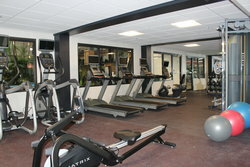 In addition to the rooms you will find below, we also offer exclusive suites. 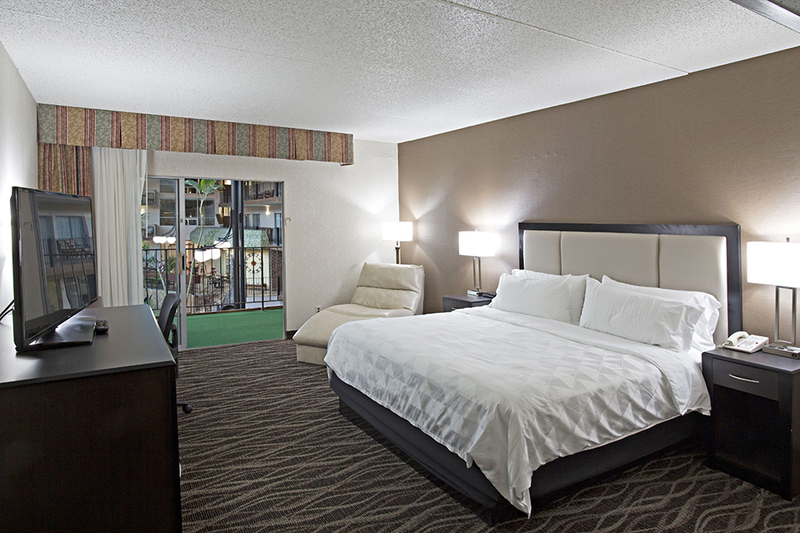 Each of our hotel suites in Des Moines boasts added space and amenities, such as a whirlpool or separated living area. 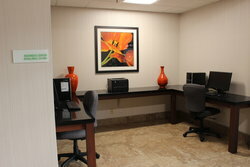 We will happily provide more information on our suites and assist you in making a booking over the phone. 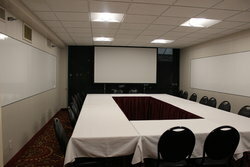 Call or email us today to receive more information on our exclusive hotel suites in Des Moines, IA. 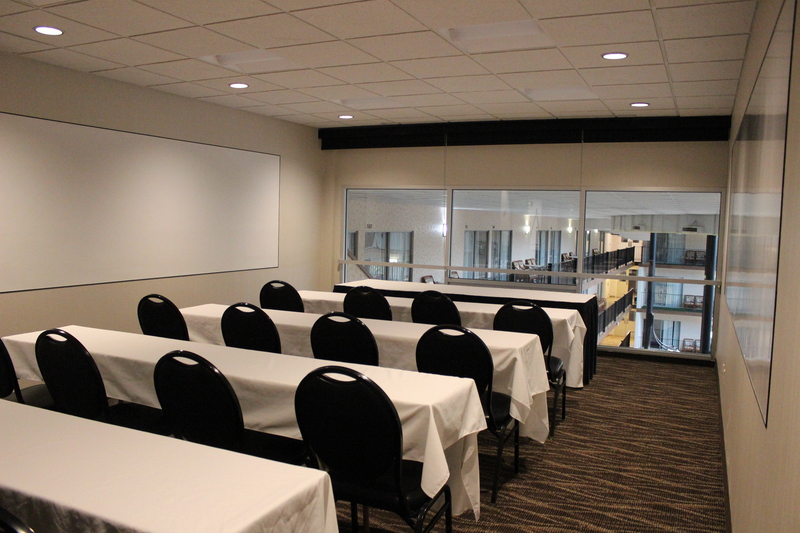 Our accommodations are available on both the interior and exterior sides of the building. 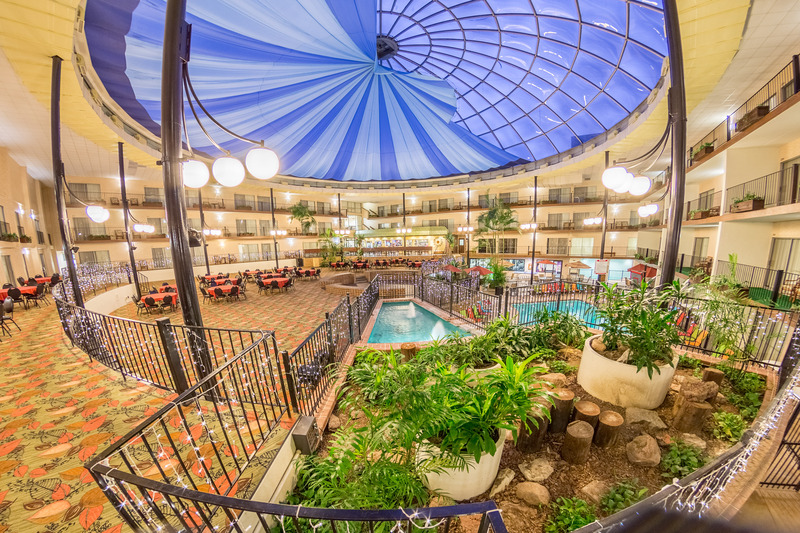 Approximately half of our rooms and suites overlook our stunning tropical courtyard. Hosting a meeting or event in our conference center? 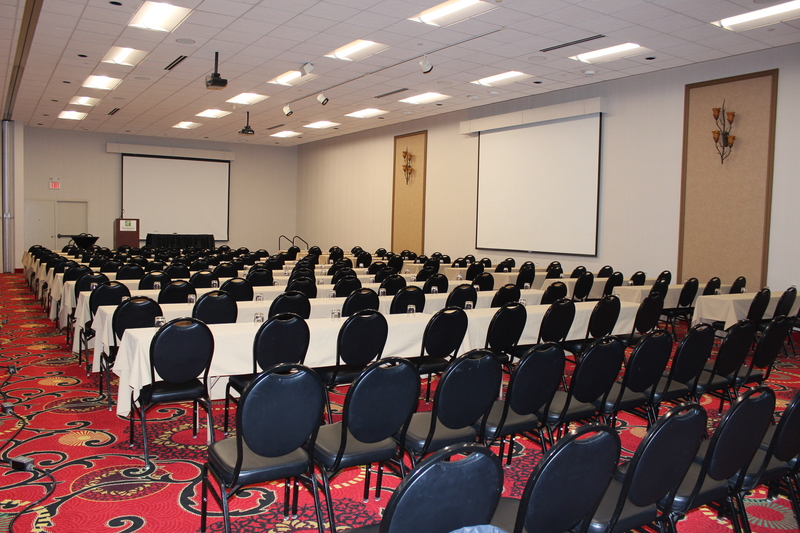 Book a room block with us to take the stress out of your event and eliminate your travel time. Simply wake up, join us for breakfast, and prepare for the meetings ahead! Our array of versatile accommodations allows you to find the perfect room for your trip to Drake University! Whether you’re planning a quick trip to visit a loved one, or looking to enjoy an extended stay in the area for work at the school, we have the perfect room for you. Guests can wake up refreshed each day and help themselves to a delicious complimentary breakfast before heading out to the school. Stay at our hotel near Drake University for great accommodations with easy access to campus! 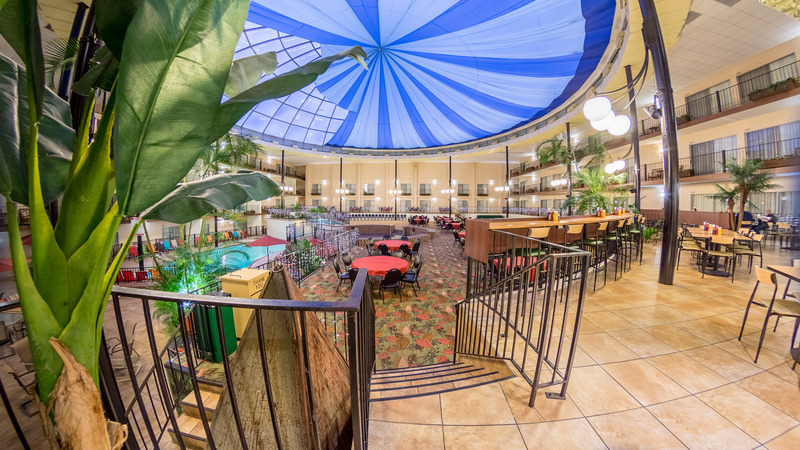 The showstopper of our magnificent property, our indoor courtyard offers a world of fun! 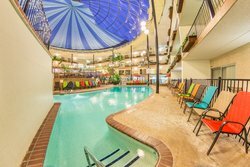 Take the kids for a dip in our expansive heated pool or enjoy some relaxation with your significant other in the indoor hot tub. 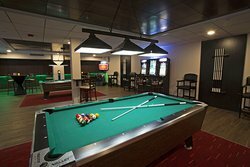 If you prefer to enjoy some fun on dry land, make use of the basketball net, lounge chairs, ping pong tables, or enjoy a bite to eat at the lounge tables. 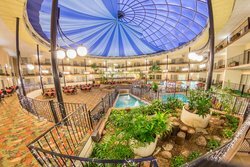 Our courtyard is characterized by a unique, tropical atmosphere with towering palm trees, umbrella tables, and lounge-worthy pool furniture. 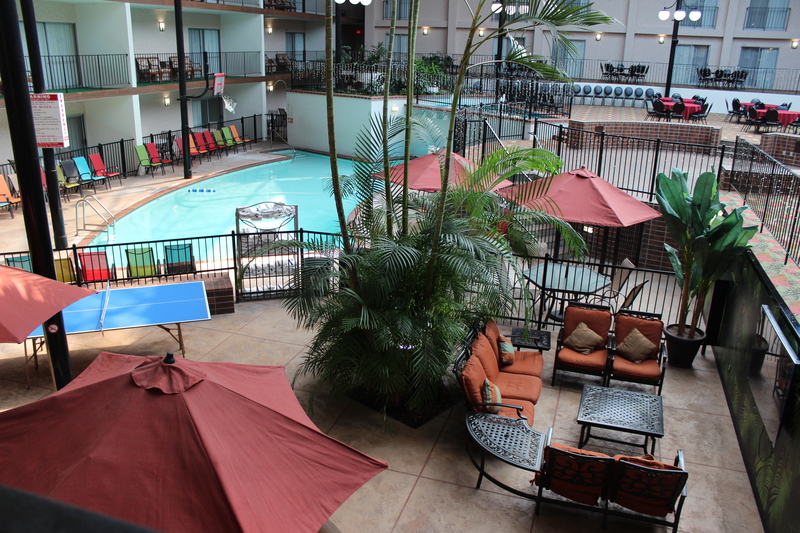 Our hotel in Des Moines, IA with an indoor pool features a deep end with depths of 9ft and the shallow end is a manageable 3ft, allowing you and the kids to swim with ease. 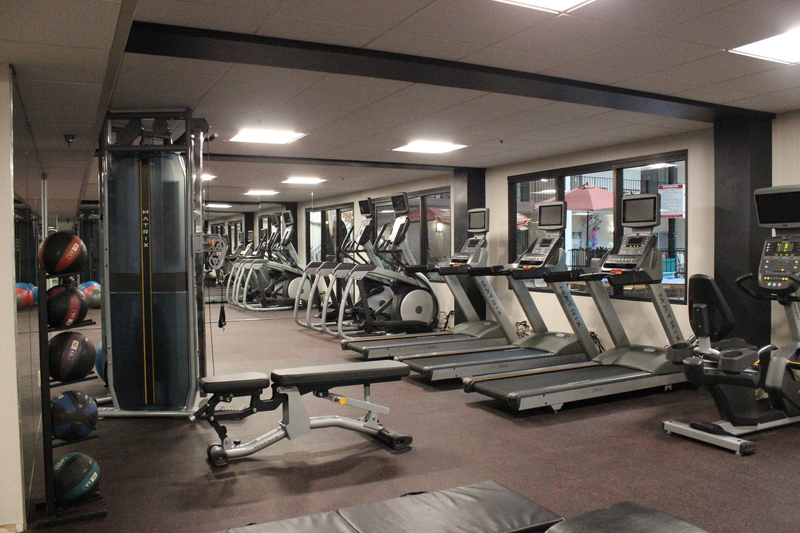 Use our 24-hour fitness center to stay on top of your fitness at your own pace, on your own schedule. 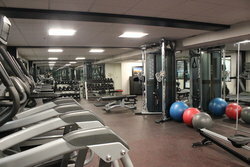 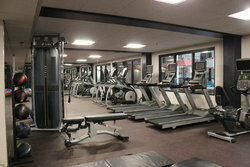 Recently expanded and upgraded, our gym provides access to brand new machines and state-of-the-art equipment. 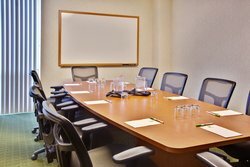 Find computer access any time of day in our 24-hour business center. 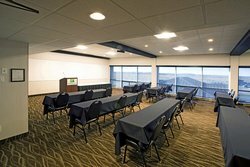 Equipped with two computers and Internet access, as well as printing, scanning, copying, and faxing needs, you are sure to find all of your corporate needs met. Office supplies are readily available to all of our guests. 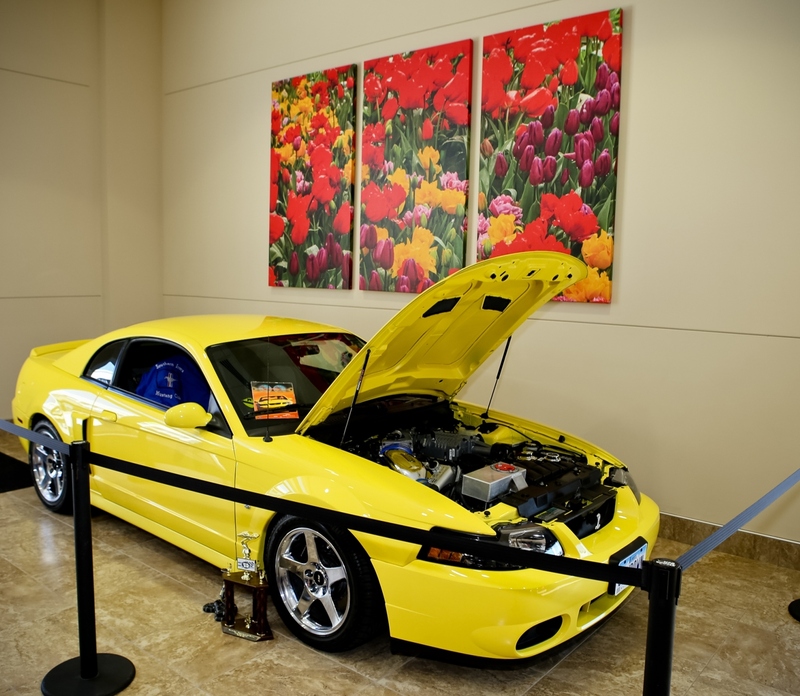 Should you require the services of a notary, we conveniently provide one on site. 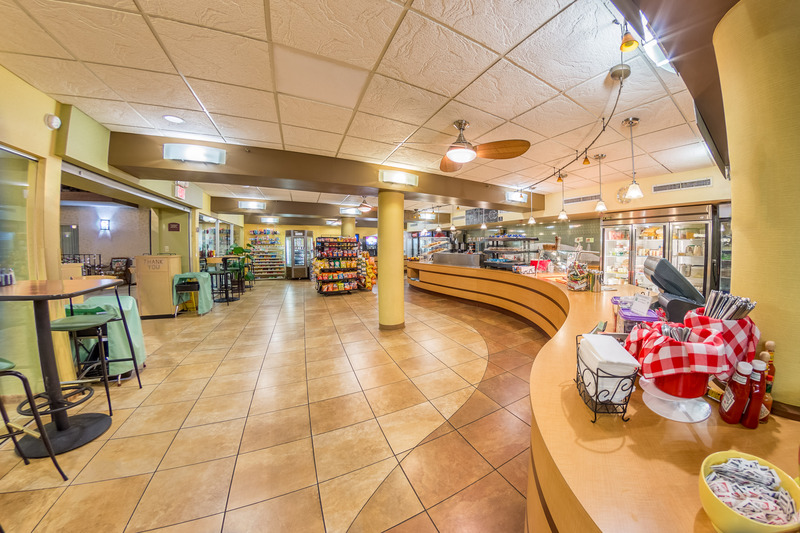 Stock your in-room fridge with late-night snacks or beverages, and purchase any last minute essentials with ease at our on-site convenience store. 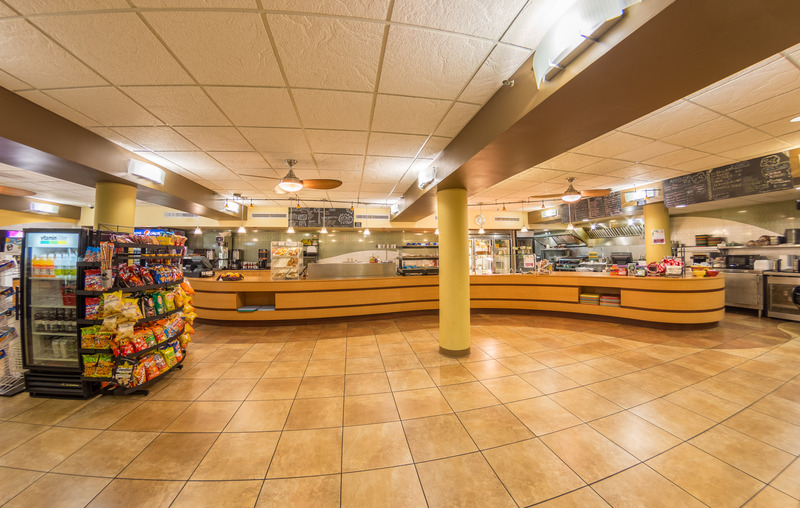 From toiletries and painkillers to grab-and-go items, our store is located in The Grill and operates under the same daily hours as the restaurant. 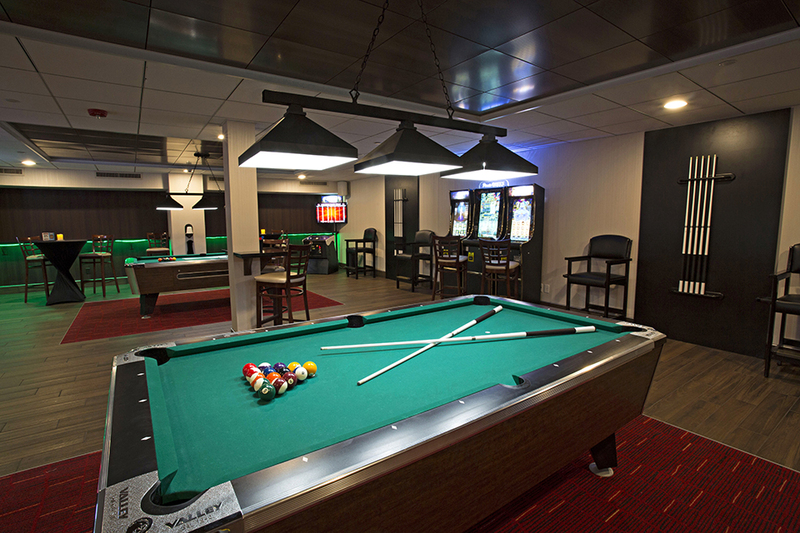 The latest addition to the entertainment and dining package found at our Holiday Inn hotel, our Speakeasy is a hidden gem in Des Moines – waiting to be explored! 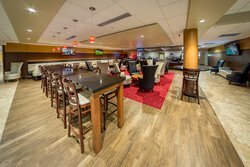 As with any traditional speakeasy, ours is a hidden space exuding character and charm that can be found only via our Lobby Bar. Buried behind a convincing bookshelf, our bartender will open the passageway and grant you entry to this eclectic entertainment space. 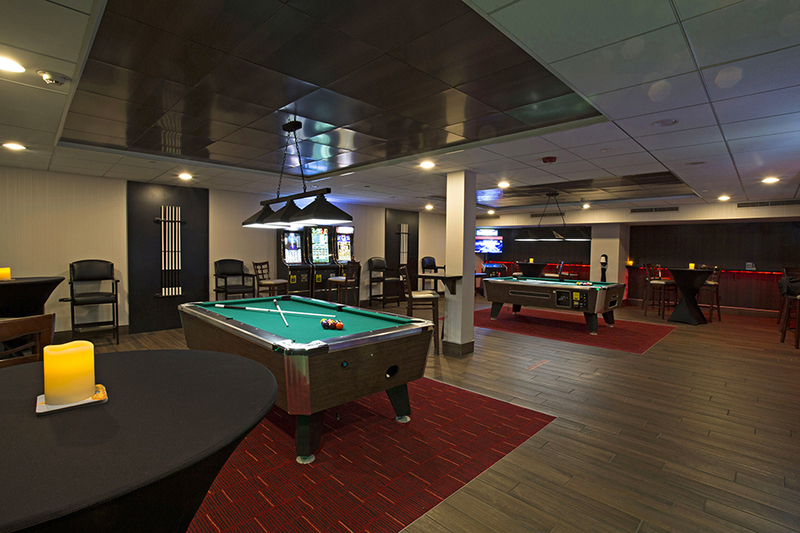 Check out our Speakeasy's virtual tour here. 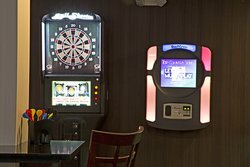 A refuge for those in search of a good time, the Speakeasy is outfitted with TVs on the walls, a jukebox, pool tables, golden tee golf, darts, and silver strike bowling. 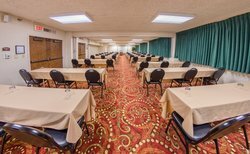 Use the internet to participate in online tournaments with players around the globe or compete against your travel companions and other patrons right here on site! The Speakeasy operates under the same hours as our Lobby Bar and experiences similar flexibility based on business. 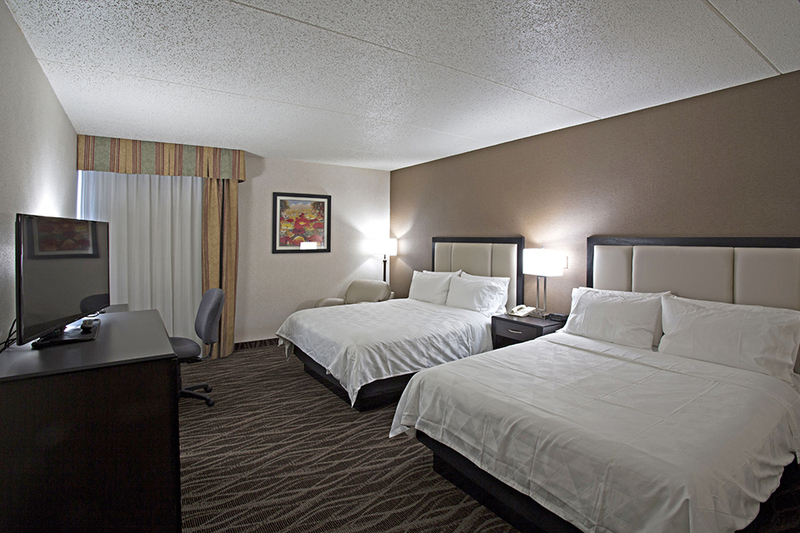 This versatile space accommodates the weary traveler and the exhausted businessman all at once. 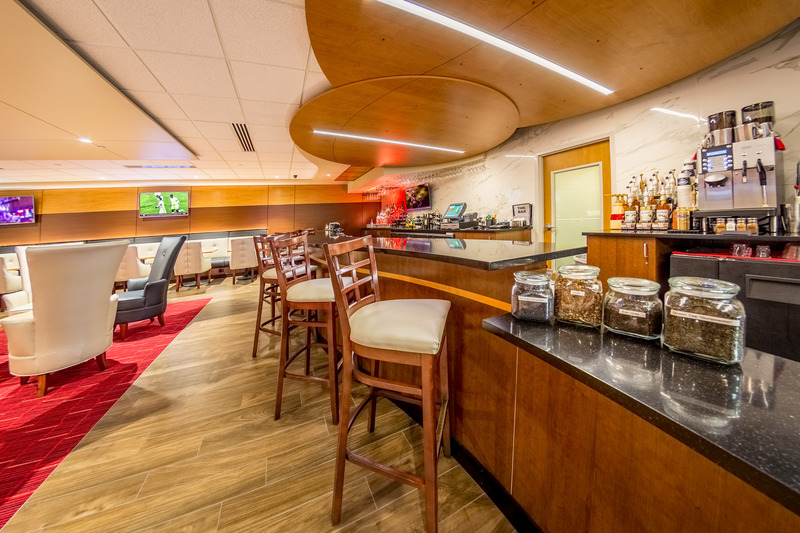 Whether you are in search of a gourmet cup of coffee or for something stiffer, your destination is our Lobby Bar. Our bar offers a gourmet coffee bar on one side and a full bar stocked with premium liquor and your favorite pints on the other. 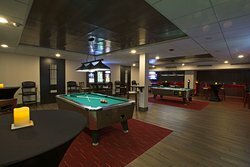 Restaurant, Bar, and Speakeasy all on site! 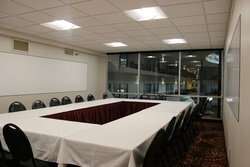 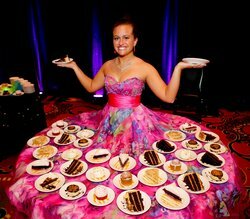 The supreme convenience of onsite dining is in no short supply at Holiday Inn Des Moines/Conf Center. 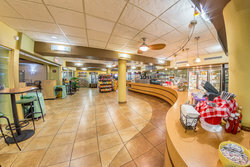 On-site food and beverage is found in excess at our hotel. From our renowned restaurant, The Grill, which serves home-style American classics, to the character-filled entertainment hub that is our new Speakeasy, entertainment, fine beverages, and exquisite dining are in no short supply at Holiday Inn Des Moines-Airport/Conf Center. 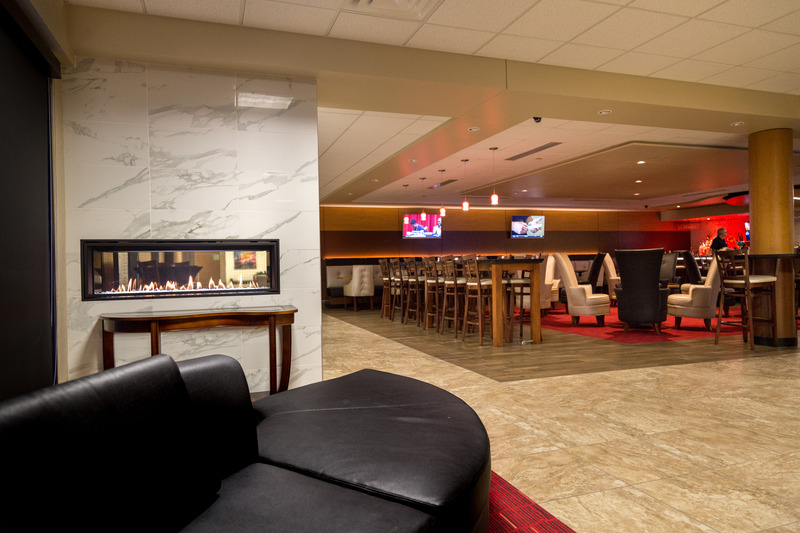 If a quick drink is all you are in the mood for, guests can also stop by our conveniently located Lobby Bar. 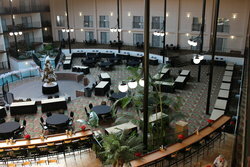 Our hotel promises history, comfort, and a welcoming, personal atmosphere that is unmatched elsewhere. 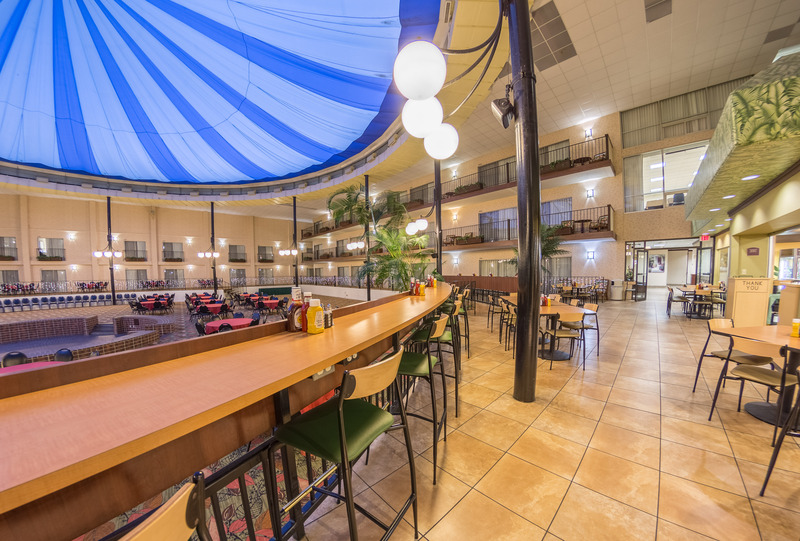 Our on-site restaurant, The Grill, is no exception to this. 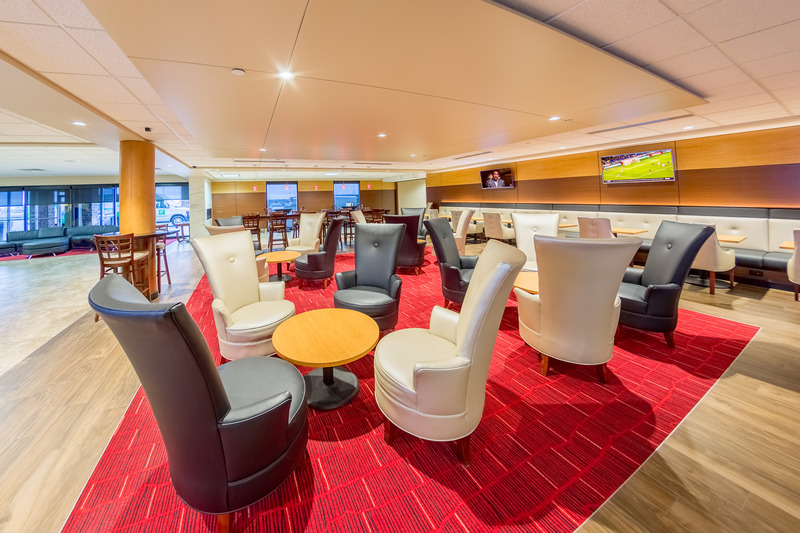 Delight in satiating and elevated American comfort food at our restaurant, or stop into our Lobby Bar or Speakeasy for a beverage and a light snack. Book your stay at our hotel in Des Moines today! No detail has been missed in the design of our meeting rooms in Des Moines. This includes our competitive package of audio/visual equipment. 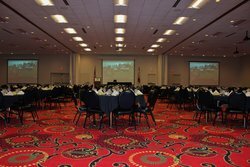 Our largest function room is outfitted with 5 presentation screens with ceiling mounted projectors, while some smaller rooms have 3. 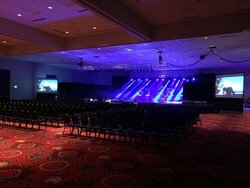 Our screens retract into the ceiling in order to avoid a disturbance of the aesthetic and ambiance of your event should you elect not to utilize them. While our hotel near Des Moines is the ideal stop for any business traveler, our family-run property understands the importance of catering to the whole gang! Kids aged 18 and under stay with us completely free-of-charge when they sleep in their parents’ room. During your visit, the kids will love passing the time at our indoor pool and hot tub, equipped with a basketball net, lounge chairs, ping pong table, and more. Pack your swimsuits, and book your stay today! 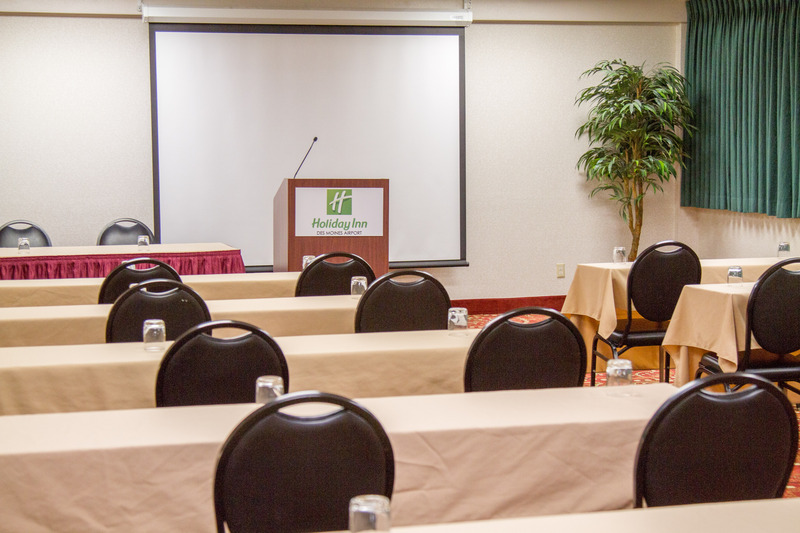 At Holiday Inn Des Moines Airport we value family time, come and spend yours with us. 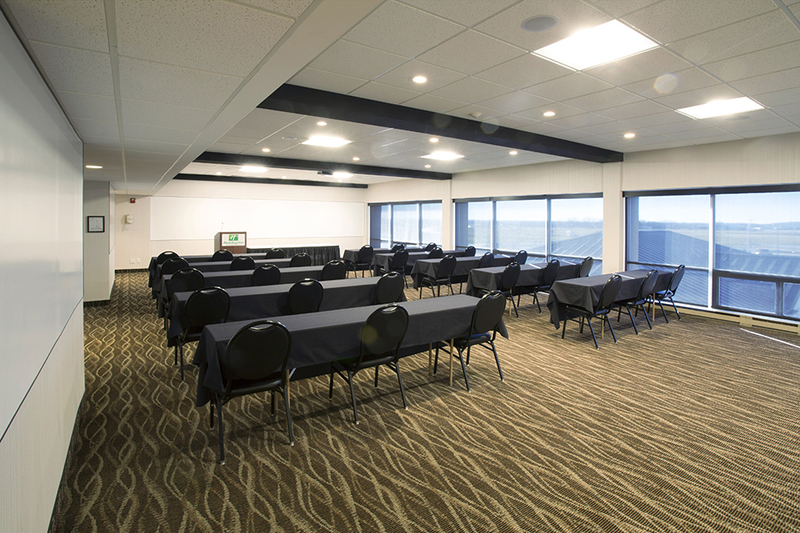 Our dynamic meeting rooms in Des Moines vary wildly in size and can accommodate groups as small as 2 people, all the way up to banquets of 1,000 guests. 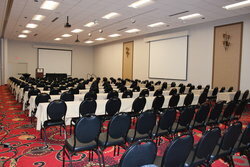 Select from several ballrooms, meeting rooms, breakout spaces, and pre-function areas. 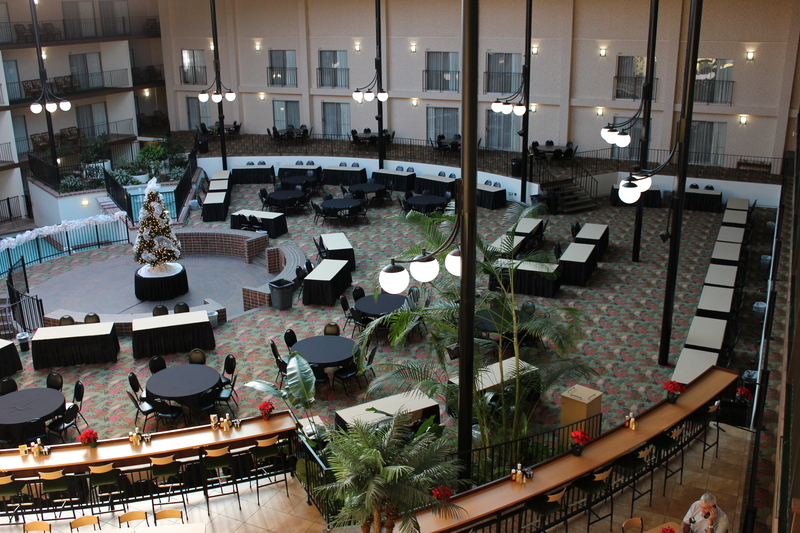 A corporate haven, all of our business guests find their needs expertly met at our hotel in Des Moines, IA. 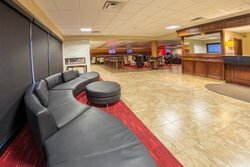 Revel in our extremely convenient airport-adjacent location while taking advantage of our reliable shuttle service, or use our free parking and exercise room at your convenience. 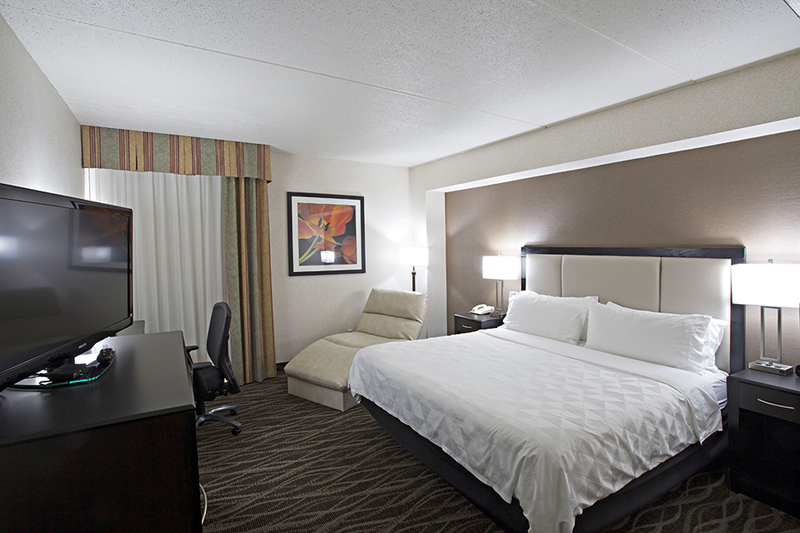 Book our Park, Sleep, and Fly package and enjoy stress-free travel. 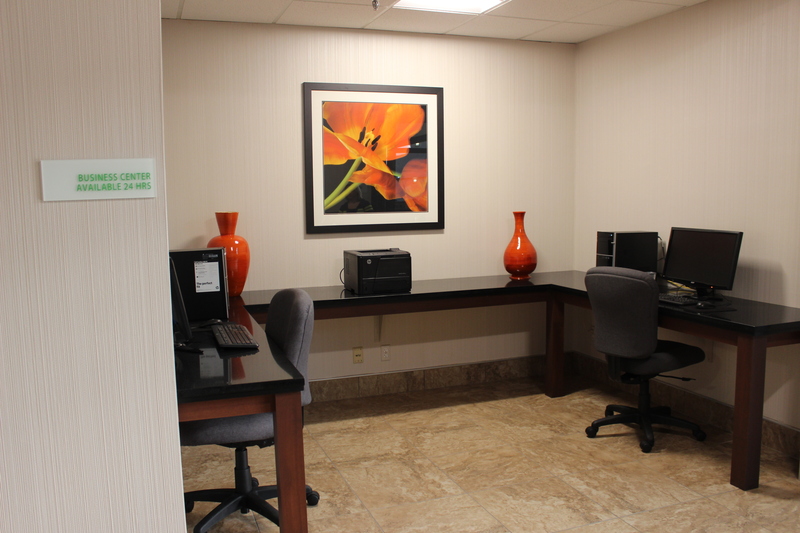 Allow our 24-hour business center to satisfy all of your correspondence and work needs during your stay. 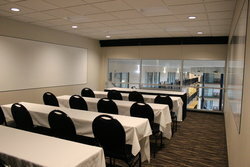 Take advantage of access to two computers, as well as a printer, scanner, copier, and fax machine. 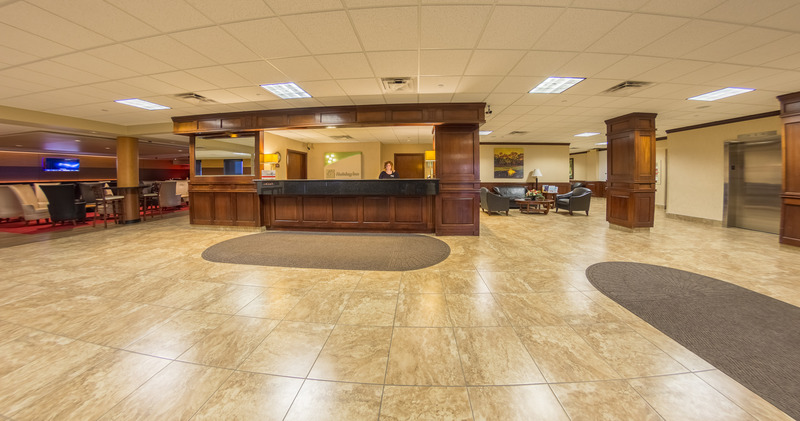 Plus, Holiday Inn Des Moines Airport offers the distinct convenience of a notary on site. Enjoy relaxing in the evening in our on-site Speakeasy, Lobby Bar, or grab a bite to eat at our on-site restaurant. 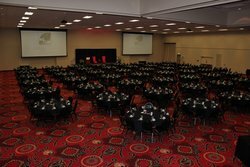 Our luxurious property is equipped with 17 meeting rooms that equate to over 34,000 square feet of state-of-the-art event space. 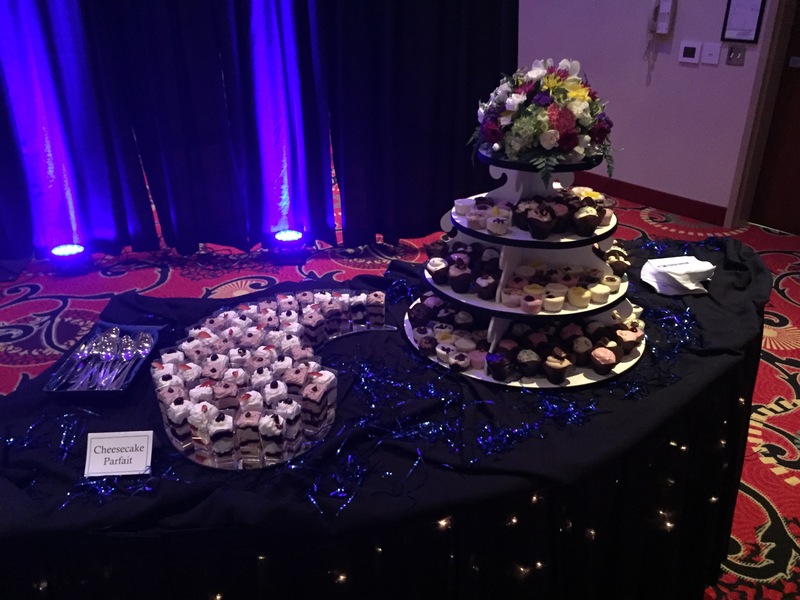 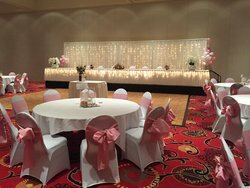 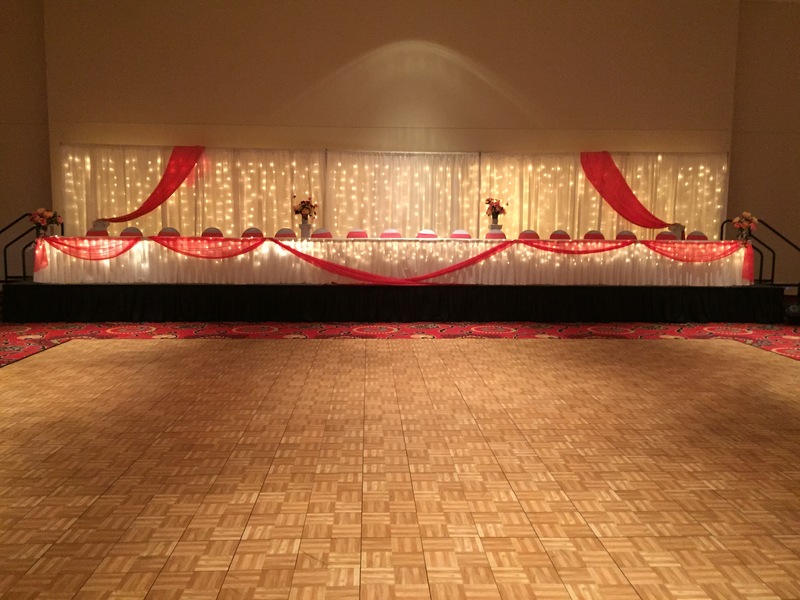 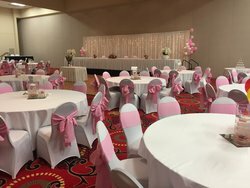 Our venues offer a range of customization options that include catering, room design and set-up, venue size and capacities, as well as a full slate of A/V equipment to select from. 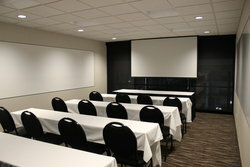 No detail has been missed in the design of our meeting rooms in Des Moines. 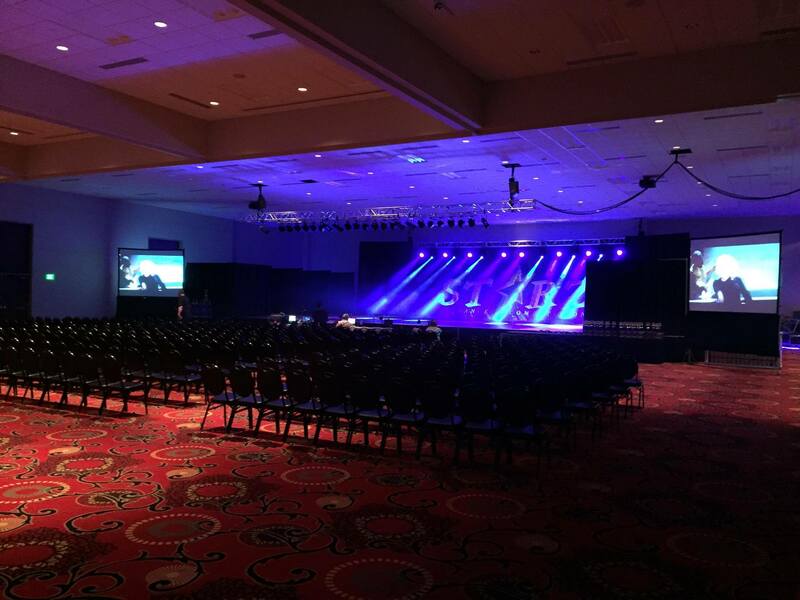 This includes our competitive package of audio/visual equipment. Our largest function room is outfitted with 5 presentation screens with projectors, while some smaller rooms have 3. 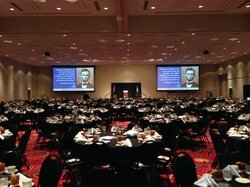 Our screens retract into the ceiling in order to avoid a disturbance of the aesthetic and ambiance of your event should you elect not to utilize them. 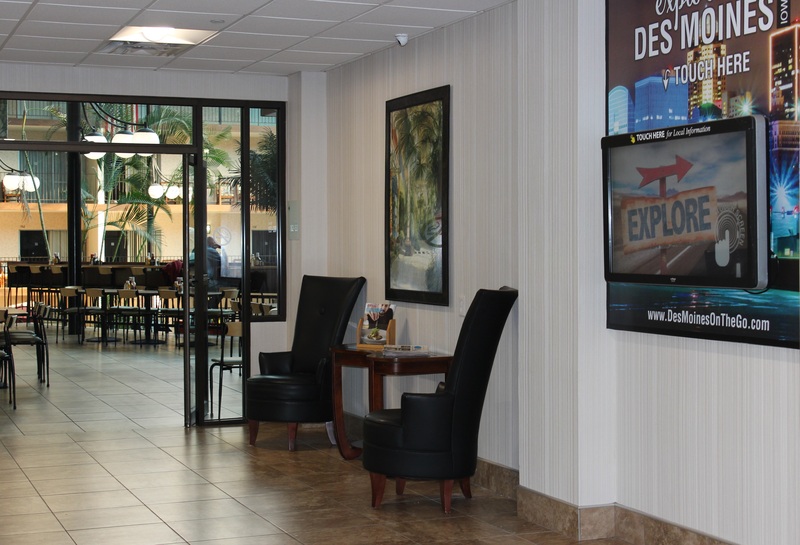 In 2013, with the economy turning positive and a friendly bank by our side, we began construction on our dream of building a facility that no other hotel offered. 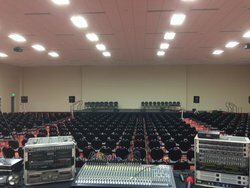 A room that would seat one thousand people, that was divisible, that was supported by a 4,000 sq. 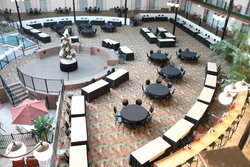 ft. foyer and large restrooms. 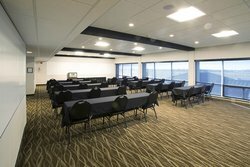 A room with 20-foot ceilings, state of the art audio/visual systems, electrical outlets in the floors and walls and a door that would allow any size vehicle to drive right into the room. 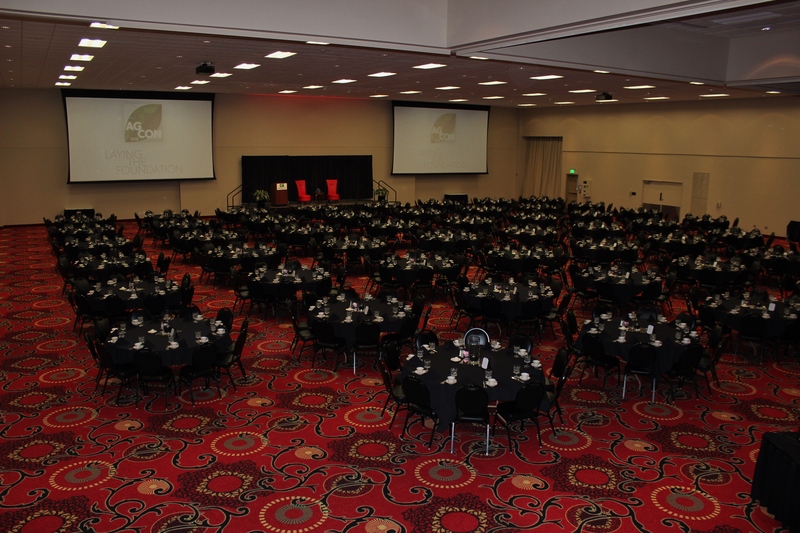 We opened July 16th, 2014 with our first convention of 700 people ready to enjoy our new facility. We then had a Grand Opening on September 4th and GRAND it was. 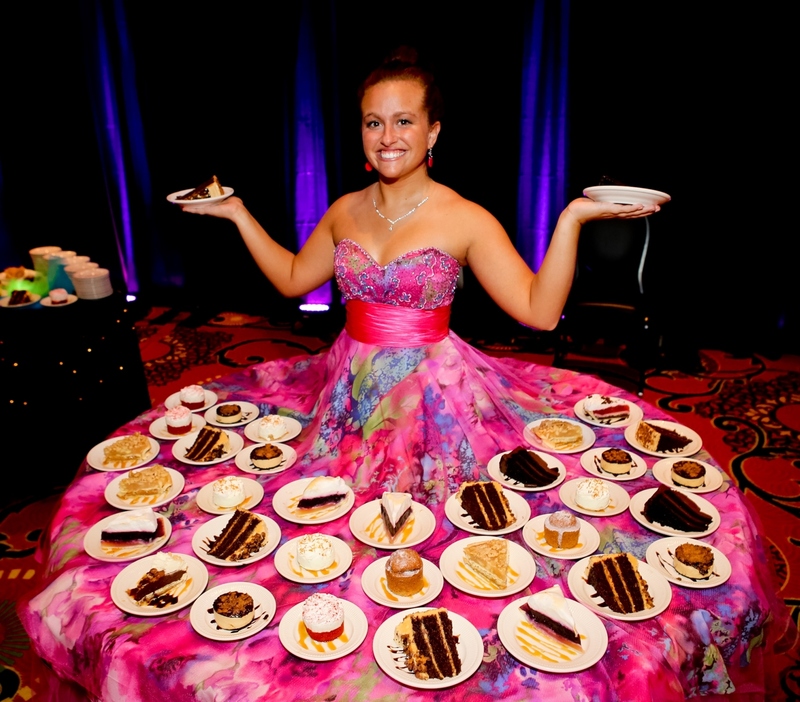 Looking back, I think it was one of the best nights of my life. It was a beautiful facility that I had dreamed of for years, but it was much more than that. 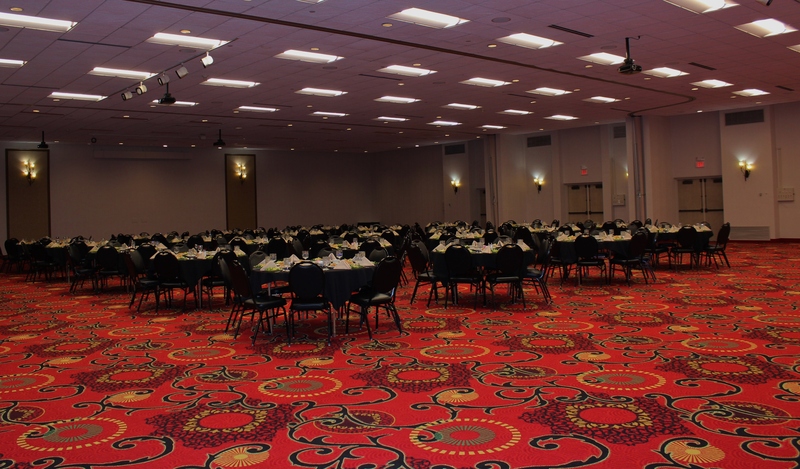 Equally as breathtaking, our 34,000 square feet of meeting and event space promises top-of-the-line technological conveniences, a wealth of customization options, versatility, on-site catering, and much more. 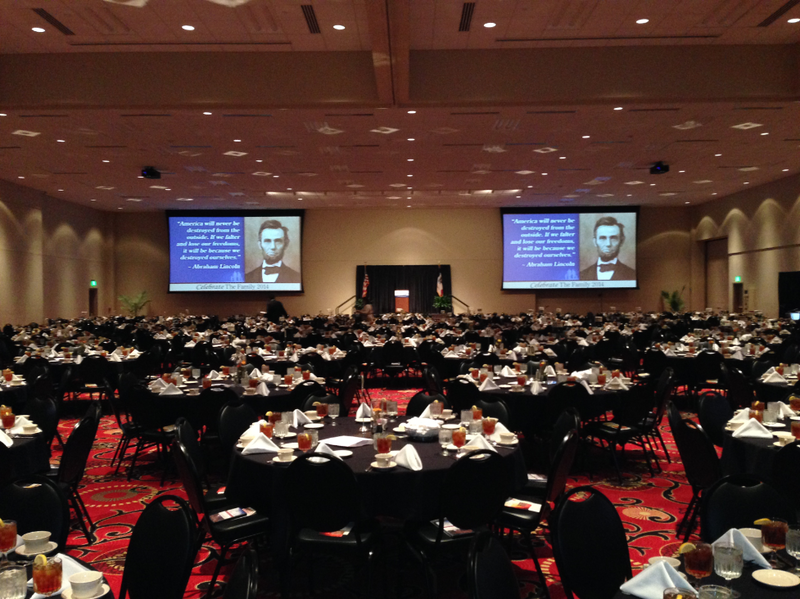 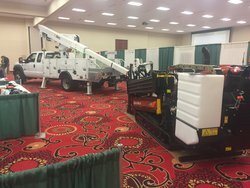 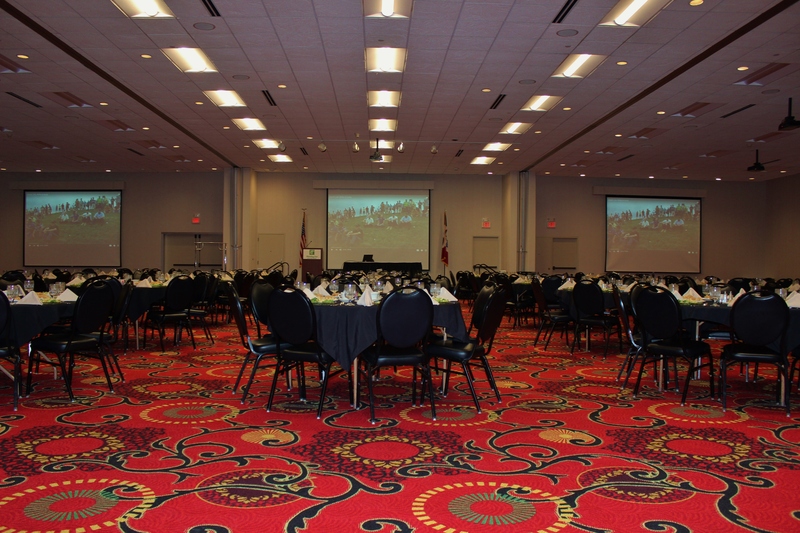 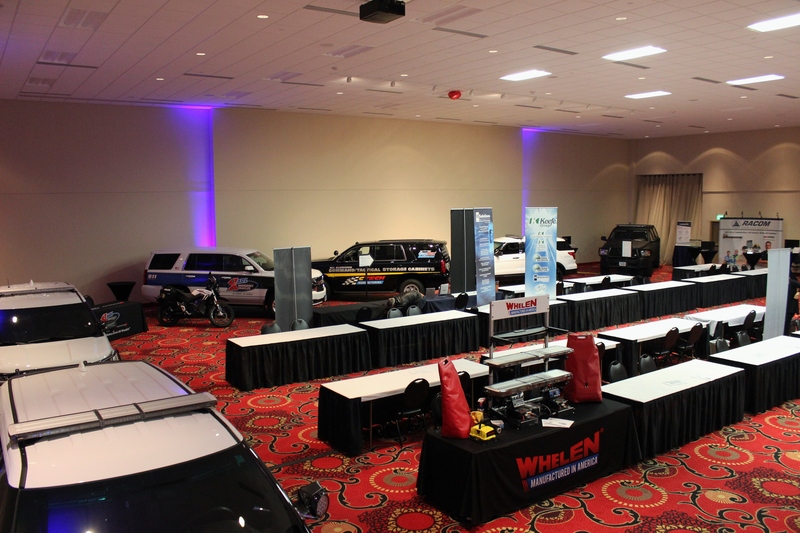 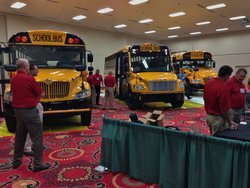 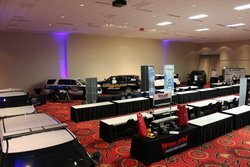 Whether you are looking to host a political rally, fundraising banquet, intimate meeting, tradeshow, or dog show, your ideal venue is right here at the Des Moines Airport Holiday Inn.